If you've seen my blog or social media posts recently, then you may well be aware that my son Noah is a HUGE fan of anything Princess related, pink or pretty! 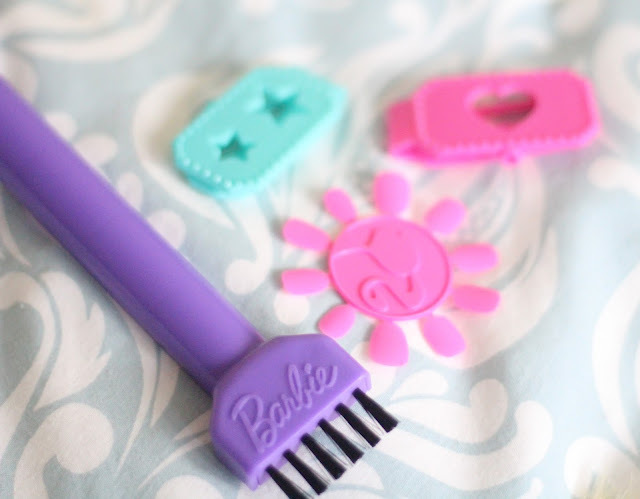 I'm always on the look out for toys for each of my boys Christmas stockings, and I keep a little list on my iPhone of things I spot that they might like...a few weeks ago I saw the Barbie Deluxe Styling Head and knew that it would right up Noah's street! So when the opportunity arose a few weeks later to try it out, I jumped at the chance. Noah squealed with delight when we opened the box upon its arrival, and was completely awestruck to see that Barbie had bright pink through her blonde hair...just like I often have! This made Noah's day, and he spent a good 10 minutes lovingly combing through her hair and putting the various slides and clips into it to make "look boo-ful!" as he puts it! I have to admit, I had fun playing with Barbies hair myself...parting her hair in different styles gives it a new look every time as the way its parted determines how much of the pink colour is revealed. Noah is also very into make up and loves to put it on other people (I may have a future hair and make up artist on my hands!) so he was thrilled to see that Barbie comes with a selection of hair accessories as well as some brushes and applicators which he loved using to pretend to put her make up on too. She also has magic colour changing nails...you just dip the sponge applicator in water and paint her fingernails with it to see them magically change colour! The same thing happens with her lips too. Noah loved every detail of the Barbie Deluxe Styling Head, even the sparkly top she's wearing was commented on! This would provide hours of fun for any Barbie or hair and make up enthusiast. You can buy the Barbie Deluxe Colour Specialist Styling Head from Very, RRP £39.99 and is recommended for age 3+. 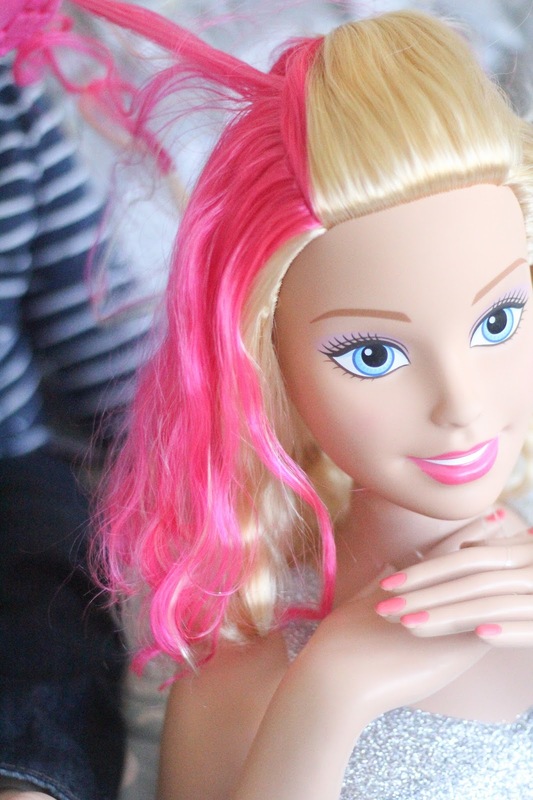 We were kindly sent our Barbie Styling Head in return for an honest review. All views and opinions are my own.